Increasingly we find music and arts compensating for the systematic erosion of human commonalities and community connections.As the flow of the internet steers us through individually customised experiences, we are distanced and removed from one another; our encounters prescribed by market forces and their algorithms. With Counterflows we look to shun that drift, infusing ebullient energy back into live music. Reaching for a social, shared, community-based experience, the festival unfolds as an amorphous happening, weaving itself through living and breathing venues across Glasgow - enacting a human flow and carving a path through the complex web of what we might call experimental or underground music today.As part of this, we are delighted to host an incredible array of local and international artists, who - despite their differences - share an interest in breaking down borders, challenging hierarchies, pushing boundaries and having a lot of fun in the process. set to take us on a journey into their world that exists “through” music, where the mundane is illuminated and notions of “talent” and “expertise” are de-mystified. We’re thrilled to present them across the weekend, as they traverse worlds of British improvisation, post-fluxus performance art, absurdist comic book fiction and Scottish luddite humour - and deliver a publication, new performances and a collaboration with Belgian artist Jelle Crama in the process. The 2018 soundfestival shone a spotlight on the viola as an endangered instrument with 11 new commissions involving the viola and included many solo and ensemble performances. Garth Knox was our resident viola player, and a highlight was a concert involving Garth as well as some of the UK’s and France’s leading violists (Stephen Upshaw, Nick Pendlebury, Claire Merlet, Scott Dickinson and Sally Beamish) performing a new work for 6 violas by Sally. There was also a participatory day for local amateur viola players as well as a Composer’s Day which featured composing for the viola. soundfestival also featured female composers with 57% of contemporary composers work performed at soundfestival being female composers, and 72% of all commissions commissioned from women. As usual soundfestival also programmed a variety of local (eg Spikker, Roger Williams, Any Enemy, University performers…), national (e.g Red Note, Icebreaker, Mathew Schellhorn…) and international (e.g. Klang, Ensemble 2e2m..) artists, as well as a wide range of musical styles including contemporary classical, electro-acoustic, jazz and folk. soundfestival aims through this mix to bring new music fans as well as new audiences for new music together. 23% of this year’s audience where attending a new music event for the first time. 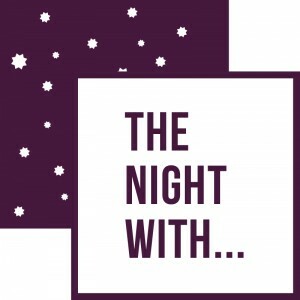 The Night With… is a charity based in Glasgow presenting salon style concerts of interesting music in intimate, informal venues across Scotland and further afield. Run by Matthew Whiteside, it provides development and commissioning opportunities for young and emerging composers. Since 2016 there has been 18 concerts with 14 world premières in Glasgow, Edinburgh and Aberdeen. Performers have included Red Note Ensemble, Juice Vocal Ensemble, James Turnbull, Wooden Elephant, Joanna Nicholson, Frances Cooper and Carla Rees. 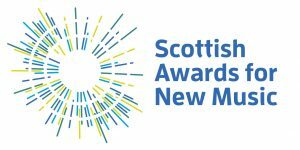 Premièred composers have included Claire McCue, George Stevenson, Diana Salazar, Emily Doolittle, Timothy Cooper, Sheena Philips, Matthew Whiteside and Samuel Beagles. The Night With… runs a yearly Call for Scores for self-defined emerging composers with no age limit. In 2017 this was for the Aurea Quartet and won by George Stevenson and in 2018 this was for Juice Vocal Ensemble and won by Sheena Phillips.